According to the heavens, the world’s concept of Fraternity needs some 21st century updating on both sides of the political fence. Part I of this series opened with two phrases which are currently being uttered by many a French citizen at present. In the days following France’s worst terrorist attacks in nearly 50 years, those same phrases are already being altered. 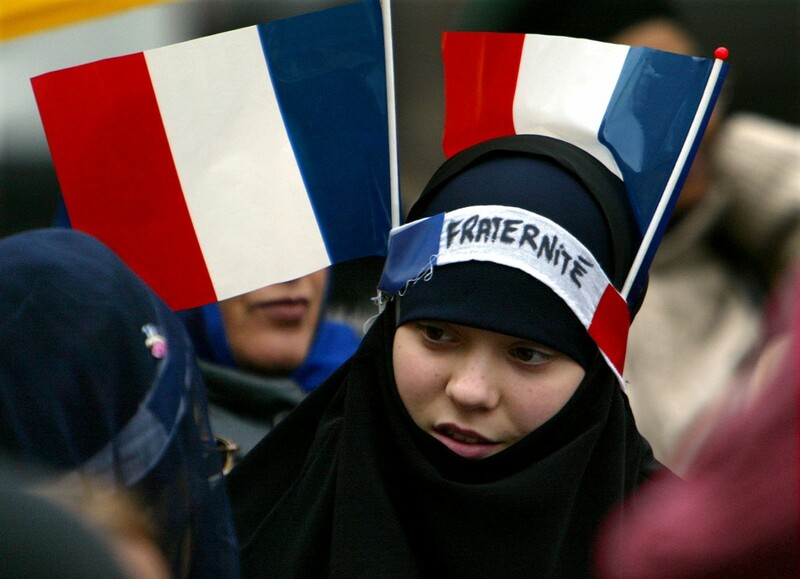 As mentioned above by NY Times reporter, Sylvie Kauffmann, there are those in France who still hold dear the French Revolution’s battle slogan of “Liberte, Egalite, Fraternite”, but with an additional idealistic virtue – “Laicite“, in English, “Secularism”. 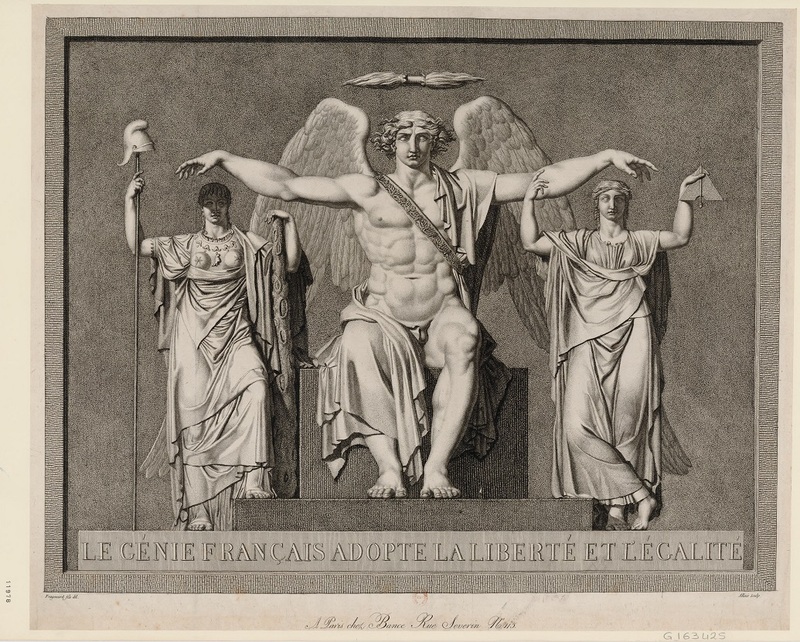 Written within the first line of the French Constitution, Laicite refers to the separation between government and religion, and never the twain shall meet in France, nor shall one of the two ever hold influence over the other. Not every Frenchman is proudly displaying a “Je suis Charlie” sign these days. The phrase which most of the Western World has taken on to express solidarity with Paris in support of any given person’s Freedom of Speech isn’t being universally embraced by all of French society as a united whole . There are those who seek to undermine solidarity through the use of ironic controversy. The third largest political faction in France is the conservative right wing group, the Front National Party. Their leader, Marine Le Pen, strongly opposes immigration and seeks to impose strict immigration laws in France should her party gain control of the government. Inciting immigration to be the foundational cause behind the Charlie Hebdo murders, Le Pen’s father and former Front National leader, Jean Marie, wholeheartedly agrees. So much so, he has taken the global phrase d’jour and has reversed its meaning through the simple addition of a surname – Martel. 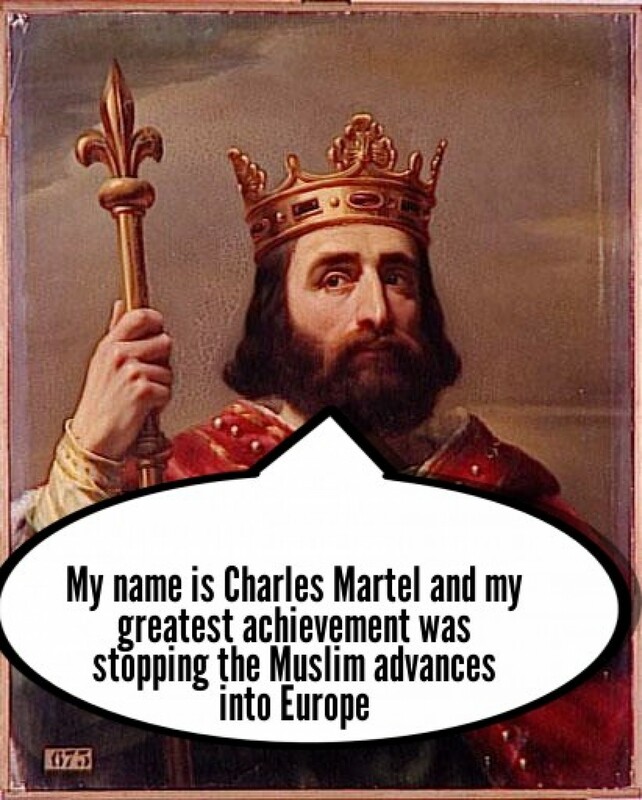 By preventing marauding Saracens from spreading the Muslim religion across Europe with his military skills and might, Charles Martel is remembered by many today as “the champion of the Cross against the Crescent”. 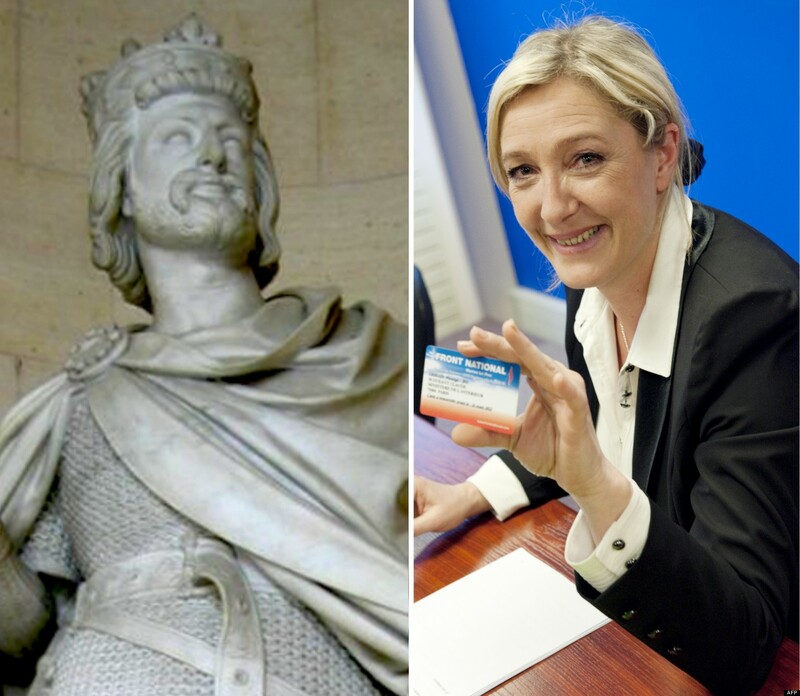 Through simple manipulation of a surname, The Front Nationals are defying a popular trend based in the present by churning up nationalist fears of foreigners with referencing a historical figure from the distant past, all for the purpose of promoting their anti-immigration agenda which appears to be an ever imminent part of French governance and law in the unfolding future. As we saw in Part I, the Heavens not only mirrored the atmosphere of tension and unrest from which the Charlie Hebdo shootings took place, France’s killings also bear astrological similarities which link that country’s recent acts of violence to other newsworthy mass murders which have taken place in the not so distant past, namely in Oslo, Norway, Newtown, CT., and at the 2013 Boston Marathon. The commonly shared astrological themes between France’s terrorist attacks and these other grim events from recent history together serve as a consistently re-occurring warning to humanity at large. In each of my published articles, “Norway’s Deadly Day of Discord”, “Newtown’s Mass Shootings: A Hamlet Forever Changed” and “Unleashing More than Just Showers: April and its Events of Violence” regarding the Boston Marathon Massacre, I observed how these bloody events echoed one another, with each sharing nearly the same prominent planets. France’s recent terrorist attacks follow suit. Jupiter – “The Great Benefic” or the planet which rules among other things, Foreign Cultures, Organized Religion, Humor, Blessings, and Hope itself. Of the five heavenly bodies listed, I consider the Moon to be the most significant, since the Earth’s satellite astrologically oversees how well an individual “fits in” with their country and society at large. 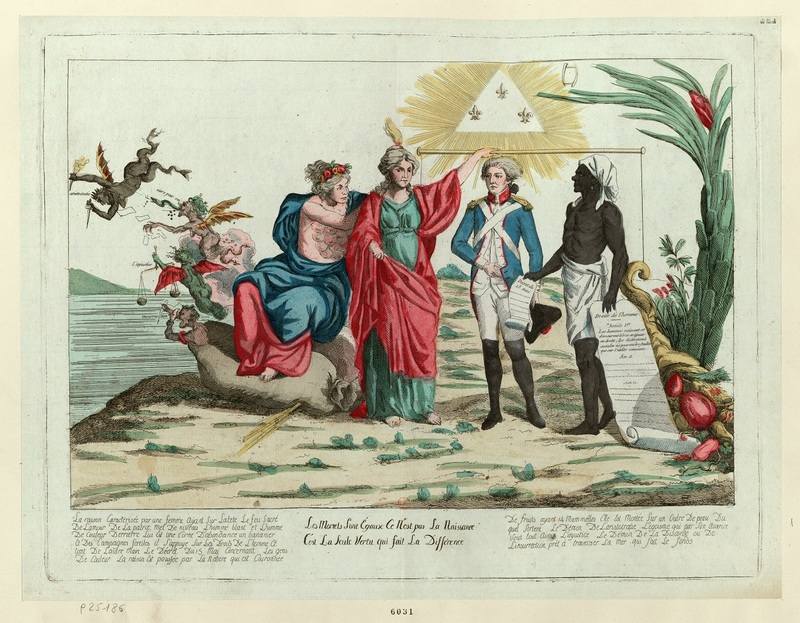 When France’s murders took place on January 7th, 2015 the Moon was in Leo and conjunct the planet of religion, Jupiter, and was opposed by Venus, the planet of Love, and Mercury, the planet of Communication, both in the sign of the masses, Aquarius. For the Charlie Hebdo killers, the Moon’s positioning translates to a sense of alienation and isolation from French society at large, based on their differences of both religion and language. “In numerology, the numbers 22 and 11 are considered “master” numbers. They function best in an environment that is evolved, spiritually oriented, and extends beyond individual concern. Both are considered master builder numbers since they have the potential to turn the most dream oriented of goals into reality. They do this by joining their hard working forces with as many varieties of people as they can, without trying to control every person and situation, or losing faith in the abilities of others. When Norway experienced its worst case of mass murder in modern Scandinavian history on July 22nd, 2011, a staggering five heavenly bodies, including the Moon, Venus, and Mars, along with the North Node, or Karmic Destiny were placed at 22 degrees, with Saturn’s positioning in the sky during that time placed at 11 degrees. France’s terrorist attacks didn’t have as noteworthy a concentration of master builder planets as Norway’s history altering event, but theirs are significant all the same. When the Charlie Hebdo offices were attacked, the Horizon, or Rising sign was at 22 degrees Pisces, along with the asteroids Eris and Ixion being placed at that master builder number, as well. Intriguingly, the Moon at that moment in time was placed at the master builder number of 11 degrees in the sign of dramatic display and leadership, Leo. It must be noted the highly publicized rally which involved a goodly portion of Europe’s biggest leaders along with nearly 2 million people marching in the streets of Paris, took place on the 11th of January. Aries is the sign of self and the number 22 is considered a Master Builder number. The homogenous culture that was Norway before July 22nd, 2011 abruptly ended when one of their very own, a Norwegian named Anders Behring Breivik murdered 77 of his countrymen, the vast majority of his victims being under the age of 25. With the Moon in exact conjunction with the asteroid of strife, the world was being shown that acts of terror can just as easily come from within our own communities as they can from foreign perpetrators. Astrologically, the Moon not only oversees human emotion, it also rules over that which makes us feel secure, as well as the relationship dynamic one has with one’s mother. The 12th House is also known as the “hidden” or “secret” House. The gunman responsible for the worst non-collegiate massacre in US History, Adam Lanza, displayed behavioral problems during his grammar school years and was removed from public schooling altogether by his mother when he was 16. With Pluto conjunct the Moon in the 12th House at the time of the Newtown shootings, the social separation from his peers and the world at large Lanza experienced by hiding himself in the bedroom of his home would prove to be fatal, not only for the gunman’s victims, but for the gunman, himself, as well as his mother. It must be stated that Adam Lanza’s date of birth occurred on a master builder number – the 22nd of April. The events which transpired at the 2013 Boston Marathon along with Paris’ recent mass killings both took place when the Moon was in a wide conjunction with Jupiter, with both murderous events involving two brothers of the Muslim faith whose built up aggressions and frustrations motivated them to commit their historically heinous acts. Like Adam Lanza, Boston’s surviving brother, Dzhokar Tsarnaev also was born on a master builder date, which also happens to be the date when the Norwegian murders took place, July 22nd. In Astrology, the object most readily seen in the night sky shares equal billing with the Sun, itself. Earth’s only satellite oversees the aspects of Life which each of us holds near and dear, along with those things which provide us contentment and security. With that in mind, I euphemistically like to describe the domain of the Moon’s rulership as “that which makes us human”. Despite overseeing so many key things that are crucial to our existence on this planet, conversely the Moon can also be reduced down to just one solitary core concept, as well – Home. Among all of these cases of mass murder, the Moon has consistently been the planet of greatest importance and highest karmic significance. Why? Each of the perpetrators whose actions caused Hell to be unleashed upon the earth of Norway, Newtown, Boston and now Paris did so from a foundational source of inner alienation and isolation. In other words, Anders Behring Brevik, Adam Lanza, the Tsarnaev brothers, and now the Kouachi Brothers along with Amedy Coulibaly, felt as if they each had no sense of home. Each were outsiders from their communities. Each were loners who had next to no friends or social acquaintances. Each could not relate to their surroundings nor to the people who lived among them. Along with the similarities of astrological theme consistently being repeated with each unspeakably dark event as it comes to pass, a cosmic warning is being given to humanity as well. We must strive to make our countries and communities feel more like home. Our civilized world must become more of a Global Fraternity. The astrological quality of “Mutable” instills within those born beneath any of the Mutable signs a natural sense of flexibility, along with an inherent ease to readily adapt to any environmental changes happening within their daily world. Karmically, not just Paris but all of modern society needs to overhaul and re-structure its idea of Home, given the fact each of the gunmen responsible for France’s most recent terror attacks were born beneath Mutable signs, with the Kouachi brothers being comprised of a Virgo and a Sagittarius, along with Amedy Coulibaly being born a Pisces. Twenty first century society must become more of a global fraternity by being as all inclusive to the many varied parts which make up its entirety. For it stands to reason only larger, more pervasive acts of terror await humanity’s unfolding future if we do not.